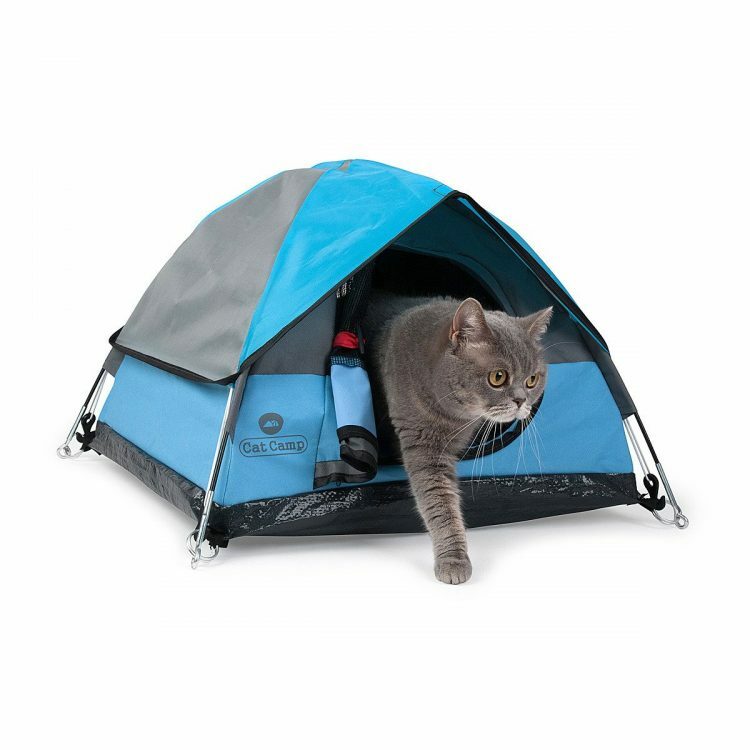 A pair of Australian entrepreneurs have created Cat Camp, a wonderful line of adorably petite, feline sized beds that look just like human tents. 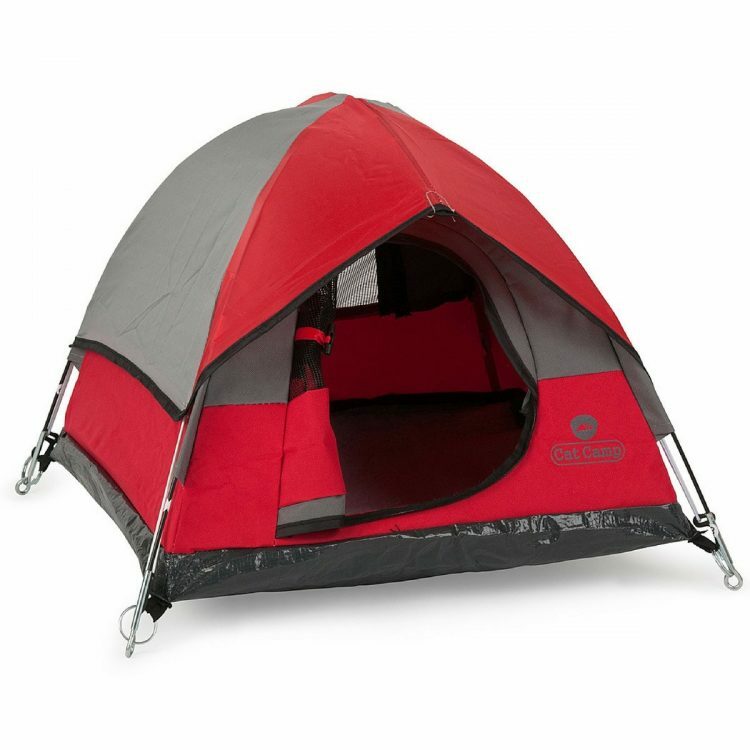 These tents are lightweight, easy to put together, appropriate for indoor or light outdoor use and provides kitty with a comfy hiding place along and an ability to still watch what’s going on. The company studied long and hard to make sure that the product ticked all the right boxes. Cats love small, dark and comfy places – this behavior is instinctive so they can hide from predators and they naturally feel safe when the walls of a box or tent come into contact with their little furry bodies. 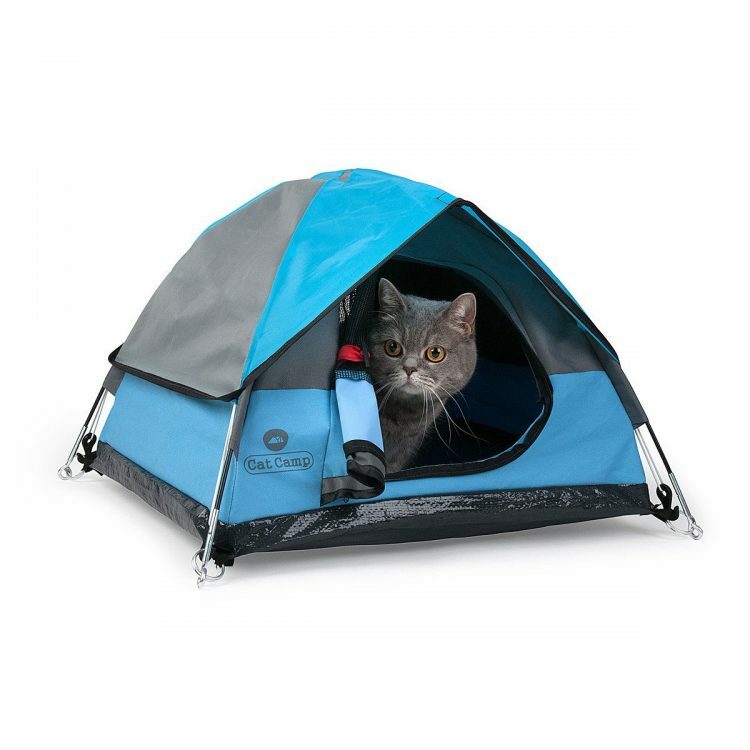 …Whether you’re planning to head out for a few nights under the stars or just looking for a unique resting place for your cat, Cat Camp is a great addition for any living room. Cat Camp is currently accepting orders through their site, although international shipping may take a bit of time and/or money. Of course, these cat camps can be easily adapted to accommodate small animals, such as bunnies.